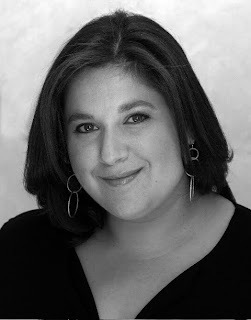 Lauren Braun Costello is an incredible force - a woman of presence, energy, wit, ambition, warmth and laughter. She chanelled her boundless energy and distinct point of view into the publication of two excellent books in 2009, Notes on Cooking, which she co-wrote with the impeccable Russell Reich, and The Competent Cook. Lauren developed her craft in the kitchens and classrooms of some of the world's most renowned chefs and as the owner and Executive Chef of Gotham Caterers in New York City. From her work as a recipe tester for the 75th anniversary edition of Joy of Cooking, to culinary producer for Pure & Simple with Michel Nischan, she now applies her culinary skills as a private chef, instructor, and as a food stylist for national television broadcasts including The Early Show on CBS, ABC's The View, and CNN 's dLife. She received a Grand Diploma in Culinary Arts with distinction from The French Culinary Institute and was awarded a Les Dames d'Escoffier Scholarship. The well-received Notes on Cookingwas praised all over town by chefs, critics and educators alike. Daniel Boulud described it as "Indispensable advice, experience, and know-how. 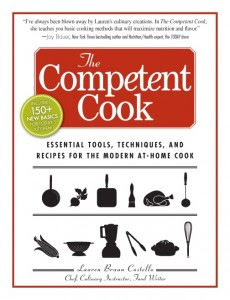 A superb addition to the library of any passionate cook" and Jacques Pepin called it "Concise, focused, and sensible... full of useful advice." We call it handsome and handy. It was independently published by RCRCreative, and so is truly an objet d'art. This user-friendly DIY guide to the fundamentals of cooking would be an excellent addition to any cookbook library, particularly for those just starting out and really trying to get it right. Lauren graciously found some time to talk about her work, life, and loves. You’ve put out not one, but two books, this year. Tell us a bit about both. Both books are concerned with the essential elements of cooking, but do not in any way compete. They meet people at different points on the cooking spectrum. "Notes on Cooking" is an erudite primer on cooking in a short, digestible "note" format that imparts the sensibilities of a fine chef. The premise is that recipes, like roadmaps, have their limitations. They tell you where you are going and how tot get there, but they do not teach you how to drive/cook. "Notes on Cooking" fills that void. "The Competent Cook" is not strictly conceptual, but more literal by meeting people right at the beginning with all the details on essential tools, techniques, and evergreen recipes for the modern home cook. Each recipe uniquely outlines the essential equipment and techniques employed in that recipe (mise en place, of course, is always one of the essential techniques!). What did you learn while writing these books? I learned a lot about publishing. 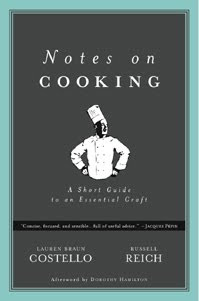 "Notes on Cooking" was co-authored with and self-published by Russell Reich. Working on that book was an incredibly rewarding experience. The content just poured out of me so quickly and honestly. The book has 217 notes and 180 of them just flowed right onto the page from me within three weeks of meeting Russell and accepting his invitation to work on the book. From there we both edited and refined and wrote for six intense months. The quality and care taken to make sure the book expressed itself as best it could in every way possible (from word choice and punctuation, to the dust jacket and artwork) really shows. I will always be so proud of that. We had a general deadline in our minds of when we wanted to get the book done, but there was no arbitrary date set. The passion for the work was there to see it through naturally. We revised and refined and revisited the completed manuscript literally dozens of times until it was just where we wanted it to be. What a luxury! If only all books were written that way how much better they would be! "The Competent Cook" was published by a traditional publishing house, therefore by comparison my role was marginalized. I had no control over the look and feel of the book, how carefully it was edited, or how it is marketed. No one cares as much about a book as the author, but traditional publishing, in my experience, fails to take advantage of that. I was spoiled by the working partnership I had with Russell, not only for the vision we genuinely shared but also by his trust and faith in me (in my knowing and caring about the material better than anyone and therefore being best suited to see it through with him.) The books were two very different experiences with very different pleasures and challenges. Formally, it began in 2002 at The French Culinary Institute when I began my professional studies there in the Culinary Arts program. I knew I never wanted to work in a restaurant. I was newly married and had been working in corporate communications for many years. Why would I want to toil in a restaurant only to have to stop to have children if i did not want to do that in corporate world? So, I figured opening a private catering company was my best bet to getting to do what I wanted with the flexibility I needed. I had no idea at the time that I could become a food stylist or recipe tester, have a food column, or teach. But I guess my love of cooking began at home, at the side of my mother and her father, both of whom were exceptionally natural cooks. Who is your culinary mentor? Professionally my biggest culinary mentor would have to be Michel Nischan. Since I never worked in a restaurant, he really exposed me to many of the experiences that have most deeply impacted my professional cooking career. My first freelance job after I graduated from culinary school was to assist him at a media event. He was so pleased with the job I did that he sent me to make a taco for a news piece at CNN. Then a week later he sent me to make maki at CBS. His PR company hired me to do more work like that. Soon the networks and shows were calling me directly along with other PR companies and the talent themselves. He unquestionably launched my food styling career. I owe that all to him. He had me working with him for a few y ears this way. And he took me to India with him the year he opened his restaurant in Mumbai. It was the experience of a lifetime. When I was pregnant with my son four years ago he hired me to be the culinary producer for his TV show on Lime. My first job three weeks after I gave birth was to assist him for a segment he was doing on dLife. I will always credit Michel with giving me so much of the opportunity I have had in my career. All that and he opened my eyes to his whole world of sustainability and organics before it was even in vogue. A huge influence in my culinary life. You’ve done a lot of food styling. Have there ever been any disasters? How did you recover? I have had a few tough moments, but no disasters. The closest I came to disaster was this summer for a serious and respected chef while we were on set at a national morning show. I have removed the stones of hundreds of avocados in my time, but I have never met a hollow pit. Well, this July I stabbed a pit with a chef's knife right before taking the beauty dishes out to the set. The knife went right through the brittle and hollow pit, through the flesh and skin of the avocado, right into my hand. A very, very bloody but clean cut. I was barking orders to anyone who could help and pointing with my feet. All I wanted to do was finish the work and do my job. We had just half an hour to go and I had been working on this job for two days, as is typical with most of my live food segments. I was injured pretty badly and had to go to the hospital. Two weeks later I needed surgery to repair to nerve damage. I have never had any injury more serious than a bad nick. This was a close call, but ultimately the disaster was averted! And the chef was pleased with my work. I suppose he saw that I was truly committed to getting the job done! Depends who is answering. My little boy would probably say that it's turkey meatloaf with lemon potatoes or roasted salmon and couscous with chickpeas and raisins. Some of my old private chef clients might tell you it's cold sesame peanut noodles with seared skirt steak. My extended family might mention my chopped liver, gefilte fish, kreplach, and macaroons. In my mind I would have to say that my hand-cut pappardelle with shaved parsnips and dry-sauteed shiitakes in sage cream screams "Lauren." Unless it is late-night takeout after a series of 18-hour days, always each place setting with a placemat and a cloth napkin, fork on the left and knife on the right. When I am serving three or more courses whether it be just for my husband and me, or a dinner party or family feast, I invariably have the cloth napkin in a decorative ring on the charger/service plate, with the salad and dinner fork to the left and the dinner knife and spoon (or salad knife) to the right; the dessert spoon and fork go head-to-toe above the plate. I always have a water glass (not a traditional European convention, but one that I find is essential in modern America) and usually one wine glass. On rare occasion I have three glasses at each setting. Usually the red wine glass becomes the water goblet and the white wine glass I use for whatever anyone wants to drink otherwise, be it red, white, etc. Flowers or fruits as a centerpiece flanked by candles always everyday. One special note on my plates: always simple and white, or at the very least a solid color. If I want people to focus on the food, the vessel in which it is served must not be noticed. I avoid patterns and designs. The sensory and visual are clearly very important to you. What are some of your favorite scenes from film featuring food, drinking or the table that inspire you? I love the montage in "Under the Tuscan Sun" when she is just cooking and serving and cooking and serving the workmen who are renovating her villa. The pleasure she gets not only feeding people but merely in having people to feed is delicious in itself. I am also a big fan of the scene in Goodfellas when they fastidiously shave the garlic so that it liquefies in the pan....in PRISON! When stripped of everything else, making the perfect tomato sauce was what mattered. Unbelievable! If you were a character from Mad Men, who would you be? Mangoes. Or cashews (which, by the way, are the stems of the caju fruit. So, for fruit they may count!). Either one is equally good with almost anything and alone they are perfection.